The commission coordinates fisheries research, controls the invasive sea lamprey, and facilitates cooperative fishery management among the state, provincial, tribal, and federal management agencies. Canada and the United States share the Great Lakes fishery, a binational treasure worth more than $7 billion annually to the people of the two nations. The Great Lakes Fishery Commission, operating through the 1954 Convention on Great Lakes Fisheries, today facilitates successful cross-border cooperation that ensures the two nations work together to improve and perpetuate this fishery. 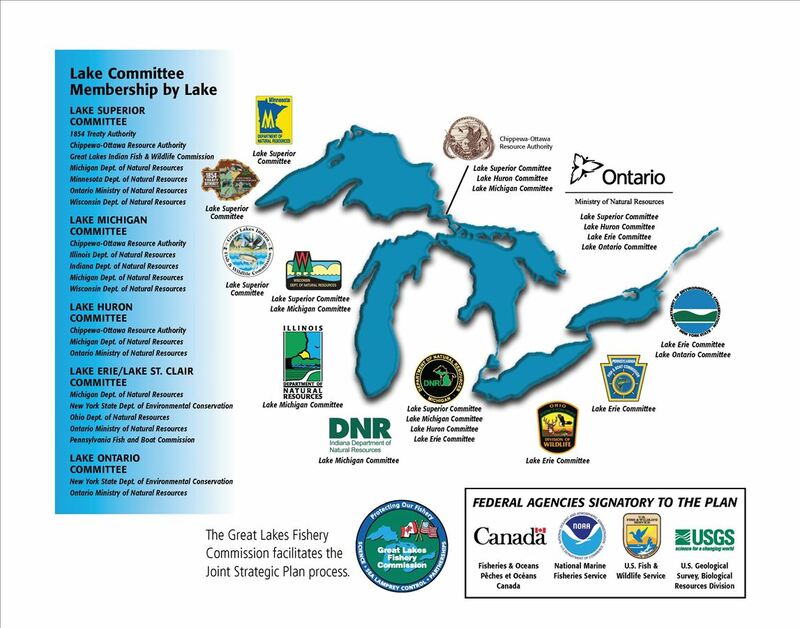 The 1954 Convention on Great Lakes Fisheries, which created the Great Lakes Fishery Commission, was born from a strong need to work together across borders not only to combat sea lampreys but also to promote science and establish working relationships among the players. The commission consists of four Canadian commissioners appointed by the Privy Council and four U.S. commissioners (plus one alternate) appointed by the President. The commissioners are supported by a secretariat, located in Ann Arbor, Michigan. to publish or authorize publication of scientific and other information critical to sustaining the fishery.